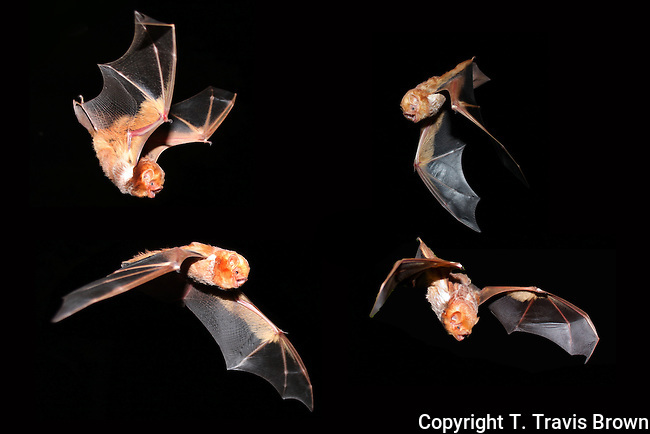 This is a composite of 4 images of red bats (Lasiurus borealis) in flight. Red bats are one of the most beautiful bats in the Eastern U.S. The bats were captured during surveys to determine presence/absence of endangered bat species. Acquiring favorable photos of 4 bats was the result of hundreds of attempts.